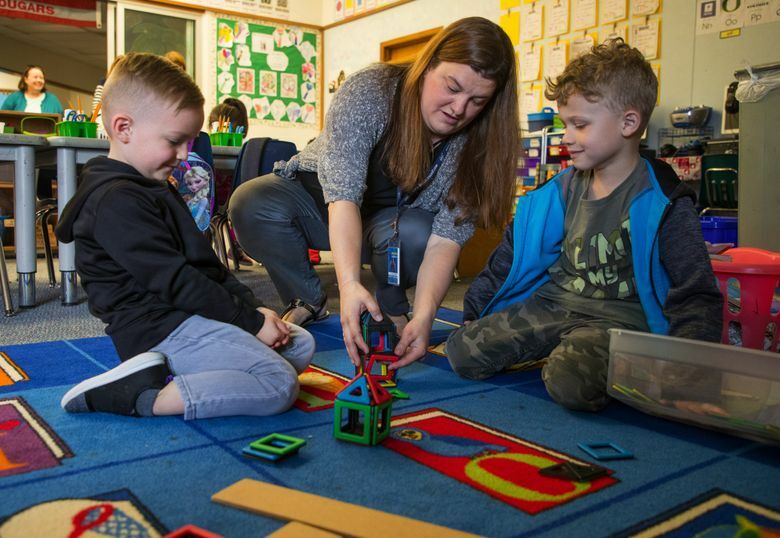 With traditional preschool classes filled to capacity, Vancouver Public Schools in southwest Washington offered an evening option for families. Demand for the program has since grown to nine campuses in three years. VANCOUVER, Wash. — Hours after the final school bell rang on a recent afternoon, the empty hallways and barren playground at Martin Luther King Elementary were silent. Shouts of “cinco,” “dos” and “cuatro” followed as Gay pointed to different numbers. Twice a week for eight weeks, teachers like Gay help the young learners build their early math, reading and writing skills. The teachers also gently remind the preschoolers how to act in a classroom setting before they officially start kindergarten. “I’m looking for friends whose lips are zipped because they’re not talking over me,” Gay said in a singsong voice. Later, after the preschoolers enjoyed pizza and juice, the parents returned to King Elementary for a short family activity. Yamamoto said she designs those lessons so mom and dad know what to expect as their children learn how to learn. “They might ask me, ‘My kid’s backward letters — is that normal?’ Well, yes, it is. It’s called mirror writing,” Yamamoto said. Vancouver Public Schools funds its evening preschool program — free of charge to all families — through a mix of funds for elementary schools and a private donation. For years, the district has focused on early learning to ensure that more students walk into school ready to learn on day one. 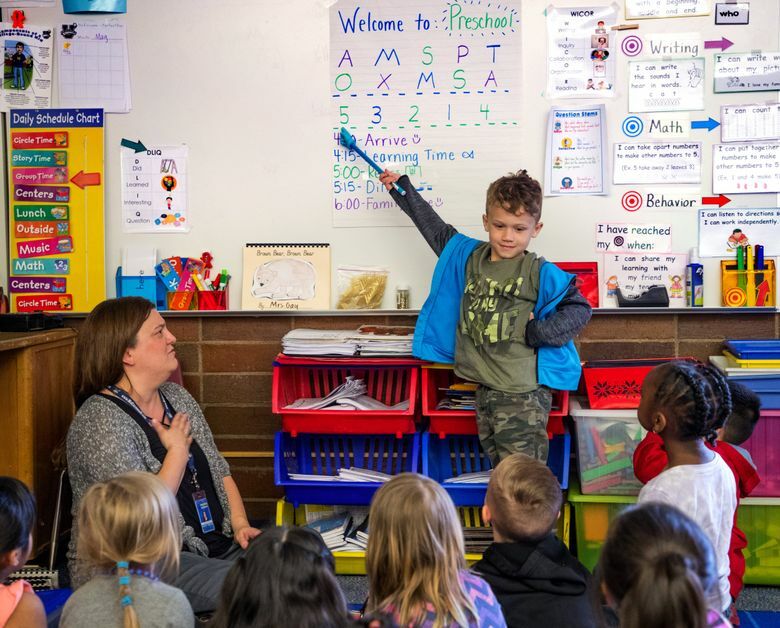 And on a state test that measures how well students are prepared for kindergarten, programs like the evening preschool classes appear to have helped Vancouver Public Schools boost its share of school-ready kindergartners from 39 percent in 2014 to 61 percent last year. “We kind of started this on a song and a prayer,” Debra Hale, the district’s executive director of teaching and learning, said of the evening program.